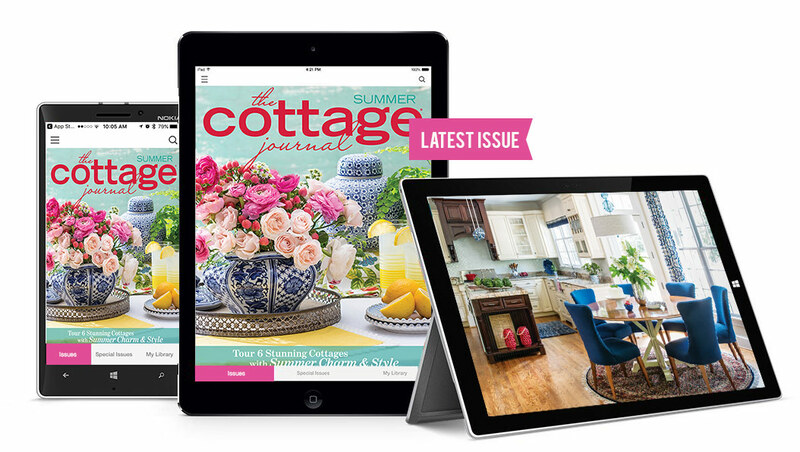 The bright, sunny days of summer bring fresh style and inspiration in this issue of The Cottage Journal. Tour homes around the country, including a colorful, family-friendly cottage in Virginia and an established country-style home in the heart of a busy city. Enjoy a charming abode on the waterfront with hints of nautical style and take advantage of the longer days with our guide to hosting an outdoor dinner party. This issue graciously welcomes the start of a new season in a fresh way! Back by Popular Demand! 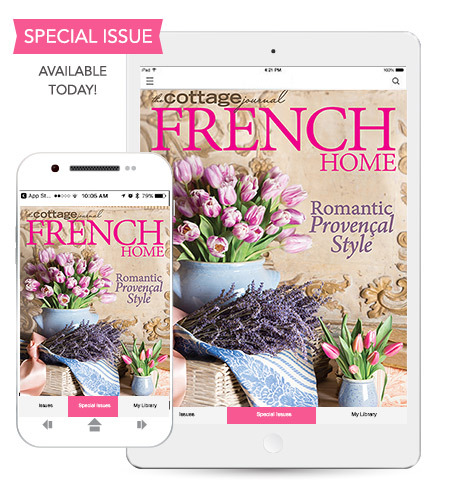 This special issue of The Cottage Journal will transport readers to a tranquil realm of Parisian style. Inside we’ll explore fresh ideas on how to blend treasured antiques alongside provincial flea market finds, inspiring the Francophile within you! From high design to relaxed cottage style, readers will rediscover the romantic, extraordinary, and historical elements of French style that can make any home feel like a château. Available on iPad, kindle, nook and Android devices!